Window Safety Week takes in the beginning of April and coincides with the arrival of Spring. The Window Safety Task Force of the National Safety Council provides information about safeguarding against window falls and proper techniques for maintaining an open window. The Window Safety Task Force includes members representing the American Architectural Manufacturers Association (AAMA), the Window & Door Manufacturers Association (WDMA), among others. 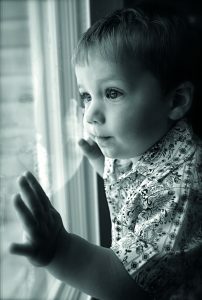 Open windows can be dangerous for young children if the child is not properly supervised. While most windows have insect screens, the screens cannot support a child’s weight to prevent them from falling out the window. 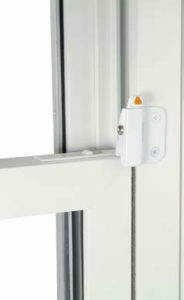 Installing Window Opening Control Devices (WOCDs) is a very important safeguarding measure for homes. Check the manufacturer’s product information to make sure such devices or guards comply with ASTM F2090. ASTM F2090-compliant WOCDs and guards can help prevent a child’s fall by limiting how far the window can open but are also equipped with release devices to allow for escape in case of an emergency. Roto is the exclusive North American distributor of the Angel Ventlock, a WOCD. Angel Ventlocks (AVLs) can be both low-cost and incredibly effective without detracting from the appearance and function of the window. There are various forms of the Angel Ventlock; face-mounted, side-mounted, and mini versions that can be used in vinyl, wood, and aluminum frames.